Its 3deg Celsius outside, the sun has yet to come up and I am on holiday, when the alarm goes off sounding like a couple of cat’s in heat. Like a trained ninja I leap out of bed to deal with the..... oh yeah that’s what that was, an alarm clock. Then slowly realize this is the big day, and I start getting ready for an amazing Adventure. What is the adventure at hand on this cold and clear morning in the center of Australia you ask? 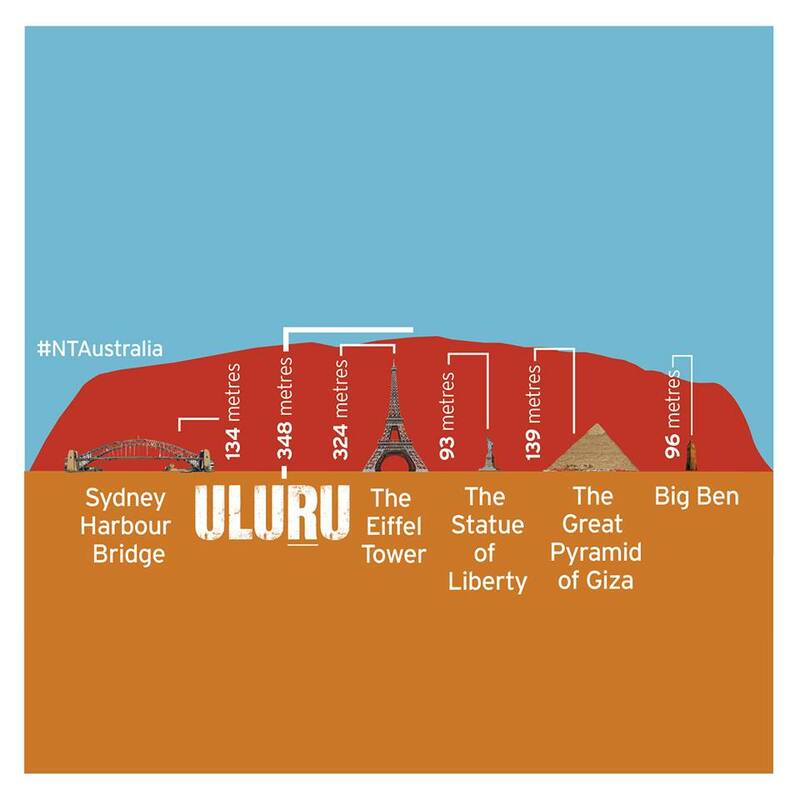 It’s a scenic flight to and around Uluru & Kata Tjuta (formerly and or commonly known as Ayers Rock and the Olgas, might still be). If you ever have the chance to go there, don’t hesitate as nothing can prepare you for what you will see. As I drive up to the airport in the morning glow I must admit to being a little unsettled by the 12yr old that is to pilot the aircraft. Ok, he was not 12, but he was very young. Or is that the perspective of one not as young anymore? You’re not getting any younger either! Turns out he was a fantastic pilot. He was well trained and quite seasoned with a great touch for flying the plane. As we start to lift off, the sun is starting to peek over the horizon and it’s not long before the massive red sandstone monolith is coming into view, as we, and the sun gain altitude. Just as at sunset the rock shows many different characters and colours as the light changes. The colors in the morning are a little different than the sunset, so make sure to do them both. The sheer beauty of this view is amazing. 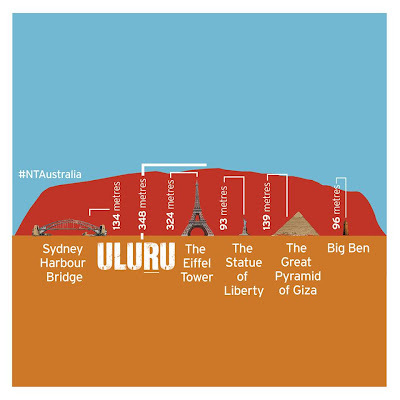 Both Uluru & Kata Tjuta are spectacular places to see and experience either on foot or by aircraft. I would suggest that you do both! The views from the plane were incredible and the perspective you get is just breathtaking. WineWalkabout rates this a Must do. What can one say about a Justin Vineyards & Winery Wine Society Gala that has probably not already been said? For about $20 one got to wander all over the facility including the caves and Isosceles room and taste all of Justin’s wines (and drink Fiji water). We were also able to snack on a variety of cheeses at the various pouring stations. If that was not enough there were three different food stations serving up lunch from pulled pork sandwiches to turkey wraps and caprese sandwiches. Plus there was a band to help you digest all of that. I think Kiwi ate and drank through his $20 in the first five minutes. 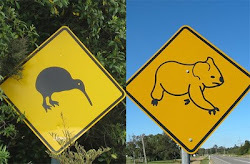 KIWI!!! There was also a sister winery (Justin wine club discounts apply) pouring their wine. Landmark Wines were pouring their 2010 Overlook Chardonnay, Grand Detour Pinot Noir and Kivelstadt Syrah. Given the nature of the event perhaps not the best place to be serving your wine. IT probably sounded like a good idea at corporate headquarters. Getting a good taste of an ISOSCELES Reserve is not an easy thing to get. Kiwi is especially stingy with his collection. At this event we were served the 2009 prior to it being shipped to the Wine Society members who opted to receive the Isosceles Reserve (this requires being on a waiting list for some time). Not just a taste but a good sized taste. OK a small glass of any and all of Justin’s wines. As it turns out we did not realize exactly how big the tastes were until we discovered that the glass we were given to taste with would hold over a 750 ml bottle of wine! Don’t ask exactly how this was discovered! KOALA!!! The event was well attended and with only minor exceptions did not feel crowded. You could have made this an all day event starting at 11 and going till 4. Once your tasting was done you could buy glasses of any Justin wine for $5 (except Isosceles Reserve). Again a great deal! This is a fairdinkum value event and an opportunity to visit a great facility and taste some exclusive wines while being fed and entertained. Crikey it doesn’t get much better than that. All of the Justin wines were excellent in our view, especially the reds, and even though caving to the major corporate dollars of Fiji water, Justin still has managed to maintain its local operational feel. Time will tell but for now a great place to go and enjoy good and excellent wine. 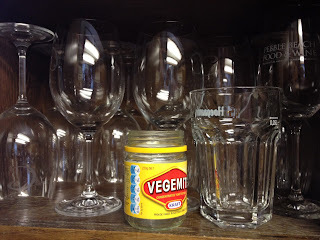 While rinsing out a used up Vegemite jar, it occurred to me that there was a time, when once all the wonderful Vegemite was gone, this vessel would now be considered a viable beverage container. Not just for milk or juice or cordial, but also for beer, bourbon or wine. We know, we can hear the global collective gasp of drinking ponce’s everywhere particularly the wine ponce. Maybe wine from this era gone by, was more easy going and did not need to be served in the 'just so' perfect type of specialty glassware for each and every type and style of wine. Maybe science has targeted the humble container for our drinking pleasure. Or maybe this is just a huge marketing ploy! One company makes over twelve different styles of glassware, for two hundred and fifty or so different styles of wines, brandies and cognacs! Bloody Nora, we don’t know about you, but we feel that someone’s got a few roo’s loose in the upper paddock if they feel the need for ten percent of this many glasses. Fair dinkum, this has overkill written all over it. 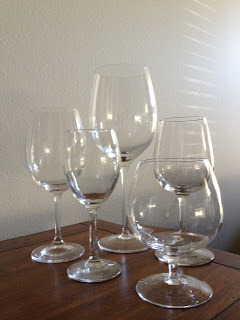 Now we at WineWalkabout have been accused of being glassware snobs ourselves, and in some ways we probably are. But to have even a single glass type for the six most common wines consumed could lead to some financial and storage issues. Think about it. Doing a vertical of three vintages with four people requires twelve glasses. We think a good versatile set of twelve is a minimum. But if you need that for say as few as a half dozen varietals you’re in trouble. Do the math, that’s six dozen glasses or seventy two for you more literal folks. That's a lot of stemware! So more to the point of one’s ability to purchase and store this mass of glassware, is do they make a difference and do you really need them? 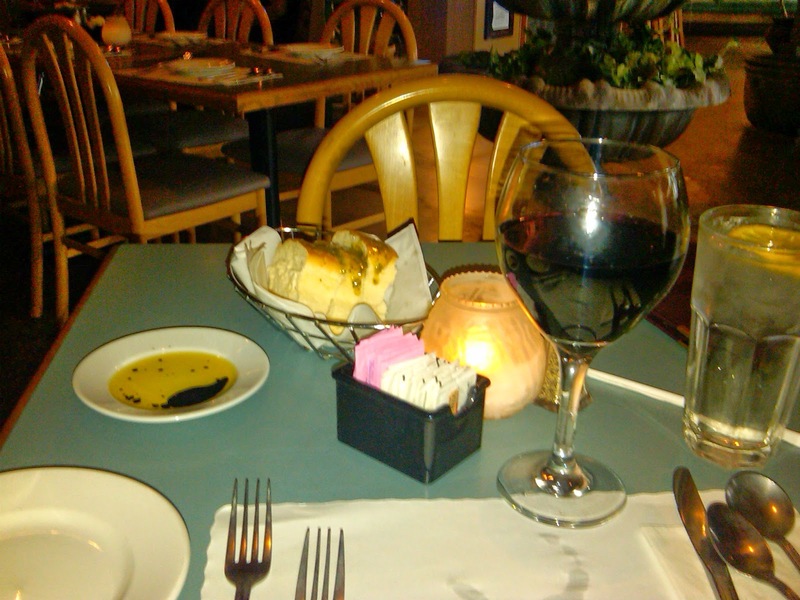 We are strong believers that an appropriate glass makes for better wine enjoyment. But we start to get a bit sus of the every glass is fine tuned to every grape. 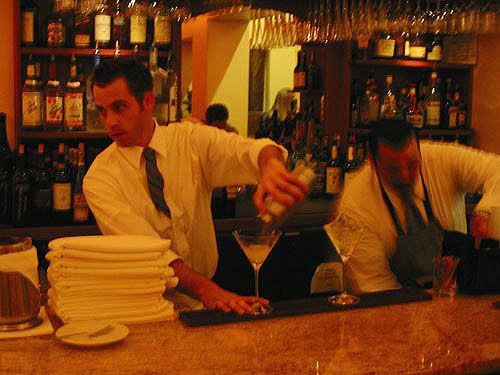 With the possible, and we stress, possible exception of the super human detecting abilities of some well trained Master Sommeliers whereas the rest of us mortals would truly struggle to detect any real difference. The second part of that is even if there is a difference, do you need to have it? Is it better or is it just a bit different? 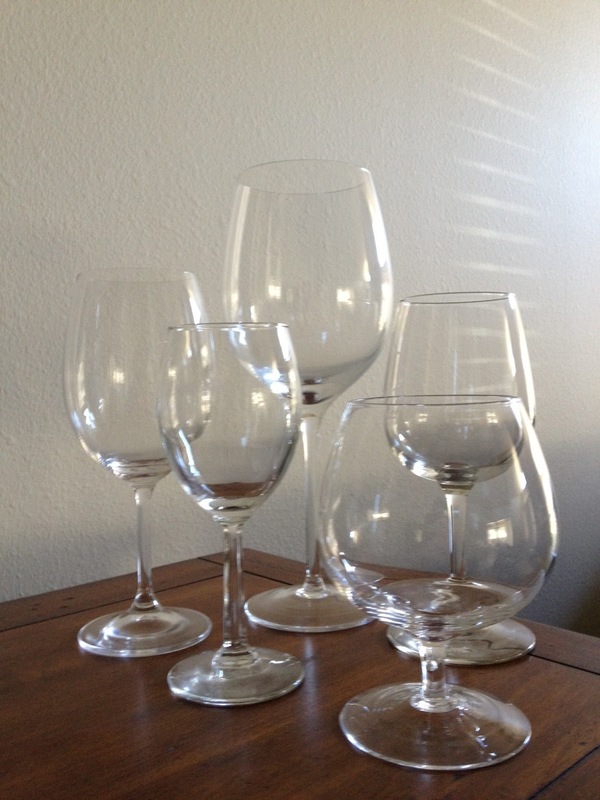 We’re guessing almost everyone’s parents or grandparents have some heavy cut crystal wine goblets. This all started to change in the late fifties when Mr. Riedel started to produce glasses that were thin-blown and unadorned. They reduced the design to its essence: Bowl, stem, base. They made stemware which was functional as well as beautiful, and made it according to the Bauhaus design principle: form follows function. 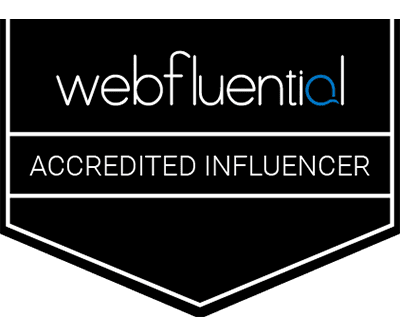 This was the start of what has today become, we believe, a little bit more of a marketing exercise than a form and function one. Now we do admit that the style and shape of a wine glass does affect the detection of aroma and taste, and that perhaps, for the serious drinker, some amount of balance is in order. We also think that generally for us average Blokes and Sheilas, two sets are probably more than enough, with perhaps a set for sparkling. 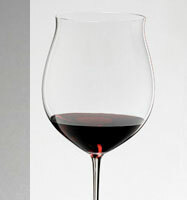 Choosing a wine glass has gotten to be more complicated than knowing which fork to use at a fancy dinner soiree. 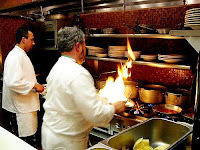 While there are many different kinds of glasses for many different kinds of wine; flutes for sparkling, small glasses for dessert wine, and that multitude that deliver specific wines best to specific taste buds and so on. The one thing that is for sure is everyone needs a good, solid, everyday glass to use for both reds and whites without thinking about it. You know, the kind of stemware you just reach for from the cupboard without a thought when you come home after a long day. That’s what we were looking for. We feel that a nice thin rimmed fourteen to eighteen ounce glass of perhaps a Bordeaux style would fit the bill (sorry vegemite jar). Then if you wish perhaps a set of something that is a bit more specific to the wines you drink most or for special occasions, or simply to impress those poncy wine friends you should have them. So look, we have been tossing our opinion about when basically it’s whatever you’re comfortable and happy with that allows you to enjoy your wine. So enjoy that washed out vegemite jar or your $125, thirty seven ounce Burgundy Grand Cru glass and don’t worry about us opinionated glass ponces! In pert duex, we will look at stem-less glass ware and other options. We will also look at the appropriate way to take care of glassware.